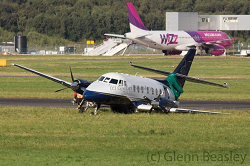 The regional aircraft sustained substantial damage in a landing accident at Doncaster, Sheffield-Robin Hood Airport. The left hand main gear collapsed seconds after touchdown on runway 20. All on board left the aircraft without serious injuries. The aircraft sustained serious damage when it hits the ground and skidded to a stop on the grass after about 250 meters. 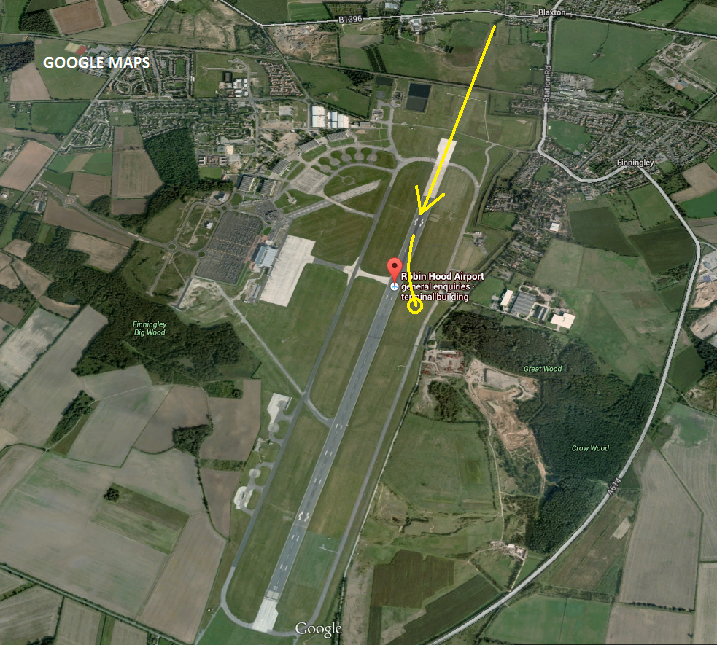 Doncaster Airport was forced close for all traffic until the next morning because of the aircraft´s proximity to the runway. 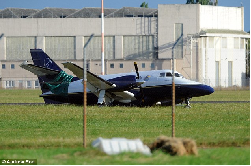 British authority AAIB has launched an investigation. 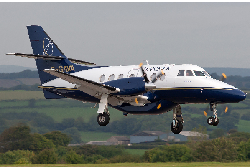 NOTE: The aircraft in question experienced a similar mishap when its right maingear collapsed on landing at Isle of Man during its operation for previous owner Manx2 on 2012-03-08 (AAIB REPORT).